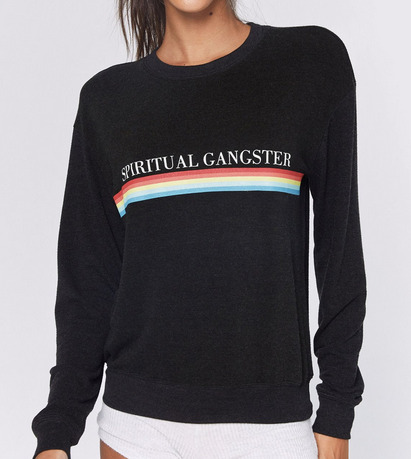 Our best-selling Savasana crew neck pullover made from soft drapey Hacci. 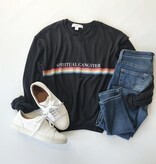 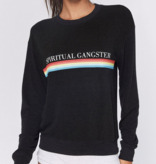 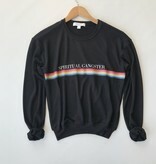 The Spiritual Gangster Rainbow Crew Neck Savasana features a white ‘Spiritual Gangster’ rainbow striped front graphic, crew neck and cozy relaxed fit. 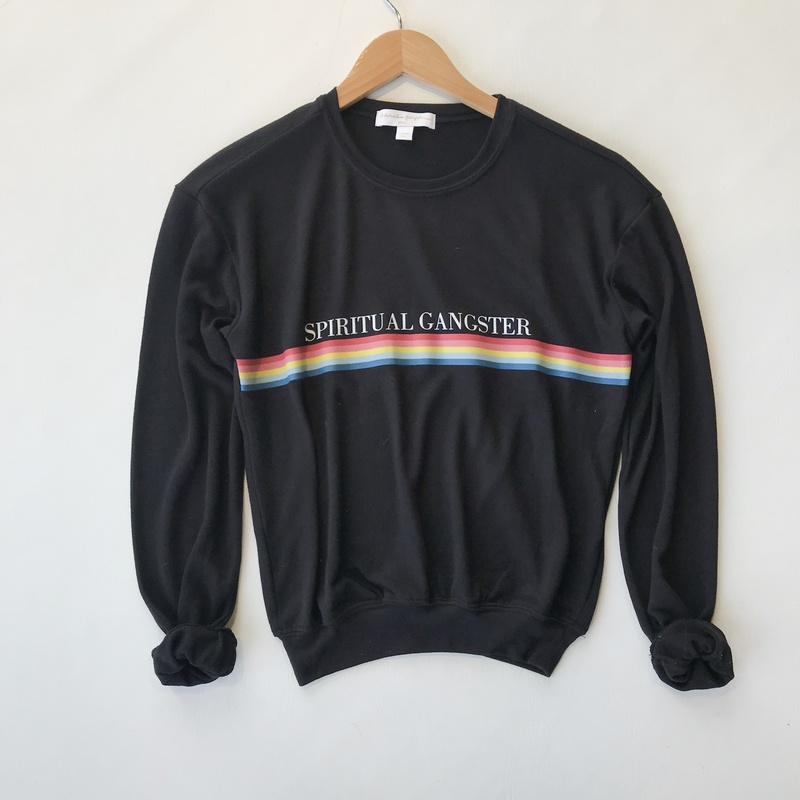 Made in Los Angeles with love from a Polyester/Viscose/Spandex tri-blend.